Can I Be Arrested for Using CBD Oil? - Crooks, Low & Connell, S.C.
Can I Be Arrested for Using CBD Oil? 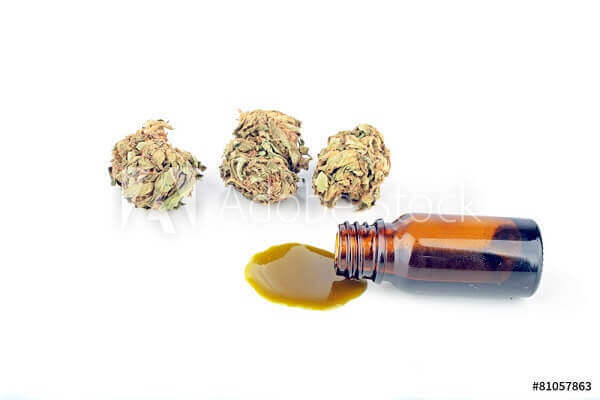 Cannabidiol (CBD) oil is a cannabis extract that has been scientifically demonstrated to have medical benefits for patients suffering from seizures and certain other medical conditions. In states where the medicinal and recreational uses of marijuana are legal, the legalization of marijuana generally includes use of CBD oil. CBD oil does not produce a high, and the research behind the medical benefits of CBD is particularly strong with regard to treating seizures among children. In fact, this benefit was the driving force behind Wisconsin’s enactment of a law legalizing use of CBD oil with a doctor’s recommendation in 2014. As you may know, both medicinal and recreational use of marijuana remain illegal under Wisconsin law. The exemption for CBD oil was limited to treatment of childhood seizure disorders, and it left several key questions unanswered. Among the issues with the 2014 legislation was that, while it legalized possession of CBD oil for qualifying patients, it failed to account for how doctors and patients would get their hands on the extract. Importing CBD oil remained illegal, as did cultivating marijuana in the State of Wisconsin. State legislators proposed a new bill in 2016, but CBD advocates say it still does not do enough to protect the patients who could benefit and the doctors who could prescribe the drug. While the Obama administration adopted a policy of not enforcing federal marijuana laws in states that chose to regulate cannabis distribution, in February White House Press Secretary Sean Spicer stated that he expected to see greater enforcement of federal laws with respect to recreational use. Although the press secretary’s statement specifically referenced recreational use, the potential change in federal policy has both recreational and medicinal marijuana advocates on edge. With regard to the medicinal use of CBD oil in Wisconsin, Senator Van Wanggaard has stated that the federal “legality issue” will need to be addressed before the extract can be made available to eligible patients in the state. For the time being, use of CBD oil in Wisconsin remains illegal in all but very limited circumstances, and use of other marijuana variants and extracts, including THC, is a serious criminal offense. Anyone with questions about CBD oil or marijuana-related crimes in Wisconsin should speak with an experienced attorney. If you have been charged with possession of marijuana or any other drug-related offense in central Wisconsin, the attorneys at Crooks, Low & Connell, S.C. can help. To schedule a confidential consultation with one of our experienced defense lawyers, call (715) 842-2291 or send us your contact information online today.